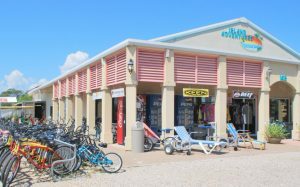 Island adventures has been existence on St. George Island, Florida for over 20 years and has built a reputation for carrying quality products, and providing excellent service. Come see us on 105 East Gulf Beach Drive, just two blocks from the St. George Island Lighthouse to start your ISLAND ADVENTURE today. Located just off North Florida's Gulf Coast, the 28-mile St. George Island is one of the last inhabited yet unspoiled barrier islands in Florida – and it is a serene and pet-friendly vacation paradise. 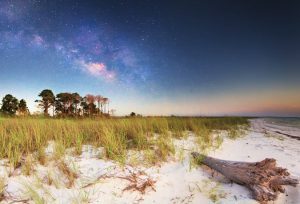 St. George Island consistently rates as one of the top beaches in the U.S., with miles of uncrowded expanses for sunning and shelling, clear Gulf waters for swimming and fishing, and pristine marshes for wildlife viewing. The island is protected by low-density zoning and strict building codes. This makes St. George Island a tranquil beach community with no high rises or chain stores. Visitors can rent a quaint beach cottage, a multi-story luxury beach home, or lodge at one of the two island hotels or inns. 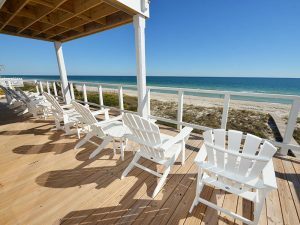 Click here to visit our friends at Collins Vacation Rentals, a premier St. George Island, Florida vacation rental agency. Miles of undeveloped beaches on this barrier island provide the perfect setting for this park, which offers ample opportunities for sunbathing, swimming, canoeing, boating, hiking, camping and nature study. Two natural boat ramps provide access to the bay for small boats. Anglers can fish for flounder, redfish, sea trout, pompano, whiting, Spanish mackerel and other fish off the beach or in the bay. Few parks offer better opportunities for shelling. Sea turtles and shore birds such as the snowy plover, least tern, black skimmer and willet nest in the park during the summer. The park has six large picnic shelters equipped with grills, tables and nearby restrooms. The campground features 60 campsites with water, electric, a central dump station and two bathhouses.